(Bloomberg) -- Serious marijuana money is starting to show up in Uruguay. Silverpeak Life Sciences Uruguay Inc, one of the largest companies in the country’s nascent medical marijuana industry, is in talks with investment bankers to raise $35 million this year to quadruple production and build a larger extraction lab in 2020, according to chief executive officer and U.S. cannabis investor Jordan Lewis. "Our planned and desired expansion would be about 25 tons next year and that should push us above $100 million in revenue," Lewis said. The company will need to raise about $150 million between 2020 and 2023, possibly from public capital markets or a “strategic alliance” with a larger corporation if demand for cannabis products warrants increasing flower production to that level, according to Lewis. 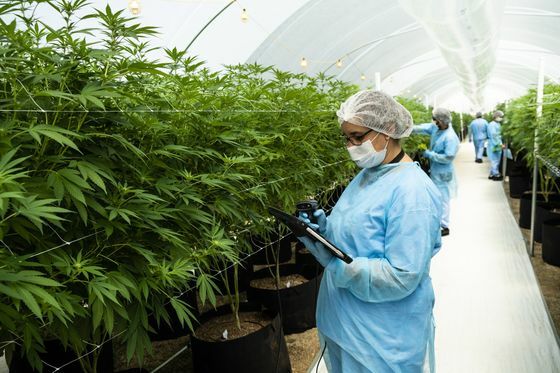 Silverpeak and rival ICC Labs, bought last year for $217 million by Aurora Cannabis, one of Canada’s most valuable cannabis companies, are among a handful of companies that have put money into Uruguay, investing in greenhouses and extraction labs with a goal of supplying medical cannabis to Latin America, Europe and Canada. This year could mark the start of commercial scale exports as producers seek trade permits and product certifications. Uruguay, nestled between Brazil and Argentina, has yet to see the significant investments that have boosted the cannabis industry in the U.S. and Canada, despite becoming the first nation to legalize weed in 2013. Ircca has approved cannabis projects worth $57 million since 2015 and is currently reviewing other permits for 21 projects worth approximately $40 million. It plans to increase the number of licensed producers that supply recreational pot to pharmacies from two to as many as five this year. The pace of investment might change as big North American cannabis producers start to consider Uruguay as a destination, Lewis said. 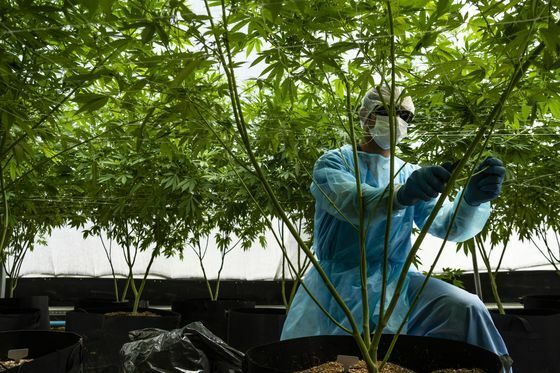 Uruguay could become the first country to reach $1 billion in annual exports of medical cannabis products in as soon as five years with enough government support, he said. “As soon as next year it could be a $100 million plus industry based on our projections alone and when you factor in some of the other companies,” Lewis said in an interview at Fotmer’s office near Montevideo. Lewis, who is also an investor in a Colorado cannabis business, founded British Columbia-based Silverpeak with a group of local investors shortly after making an unsuccessful bid for a recreational pot license in Uruguay in 2015. Fotmer built 18 greenhouses and a small extraction lab with $7 million committed by Silverpeak. Silverpeak’s estimated harvest of 6 tons this year could generate as much as $40 million in revenue if Fotmer obtains permits to ship cannabis flowers and small quantities of CBD and THC extracts to Australia, Canada, the U.K. and Germany, Lewis said.